I breed for health and temperament. All our dogs and are AKC registered and pups are sold with papers. I offer a 28 mo. hip n genetic guarantee. 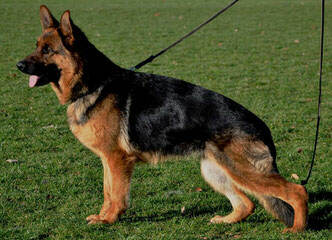 Many have Schutzhund bloodlines and are mainly medium drive. Most are sold as family pets but some go on for therapy, search & rescue or working. Can ship or deliver for extra costs.